Whether you want to service or buy a new overhead garage door in Edmonton, contact our team. As residential overhead door specialists, we can help you choose new products and take care of the existing system. Every overhead door part must remain strong to enable good door operation. If not, the door will come off the tracks, jam, or dangle. And such problems can compromise both your security and safety. At Garage Doors Edmonton, we provide a wide array of overhead door services. So, give us a call no matter what you need. Count on our quick help when there is a need for overhead garage door opener repair. We can service, maintain, replace, and install chain, screw, and belt drive openers made by Liftmaster, Genie, Marantec, Craftsman, and other manufacturers. We can align the sensors, fix the chain, and replace the gears. Call us if your torsion or extension springs break. We replace them at once. Our techs will also replace any other part of the door and will troubleshoot to make sure all problems are fixed properly. 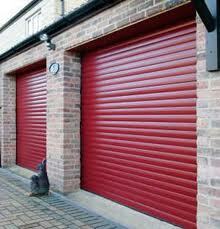 But we are also available to offer overhead garage door maintenance. Call us once a year to inspect, lubricate, fix, and adjust your door. It will make a huge difference to its operation and longevity. In case you want to replace your Edmonton overhead garage door, you can rest easy that our company can provide you with the new door you always dreamed of and install it along with its parts. We are the company to help with any overhead door matter. Call us today.